Two of the more common rock-loving shorebirds along the coast are Black Oystercatcher and Black Turnstone. 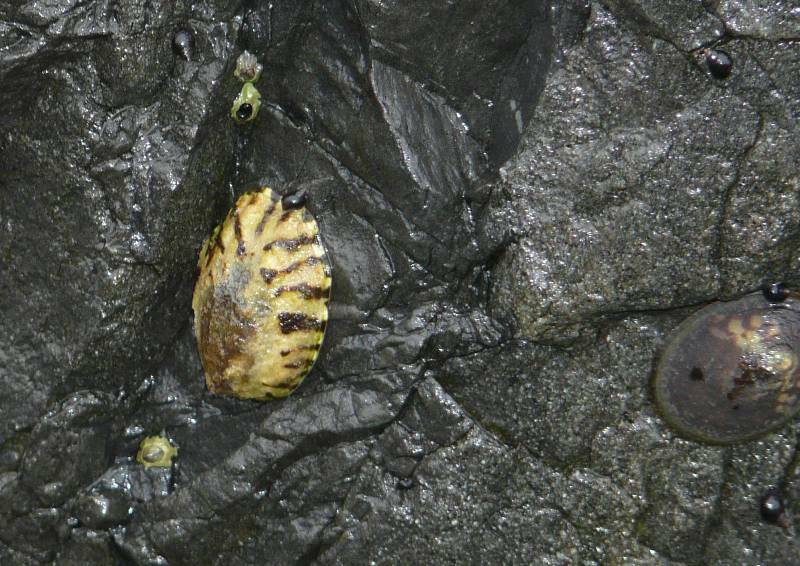 Both species hang out on rocky shorelines in the intertidal zone, probing the wave-splashed rocks for mollusks. 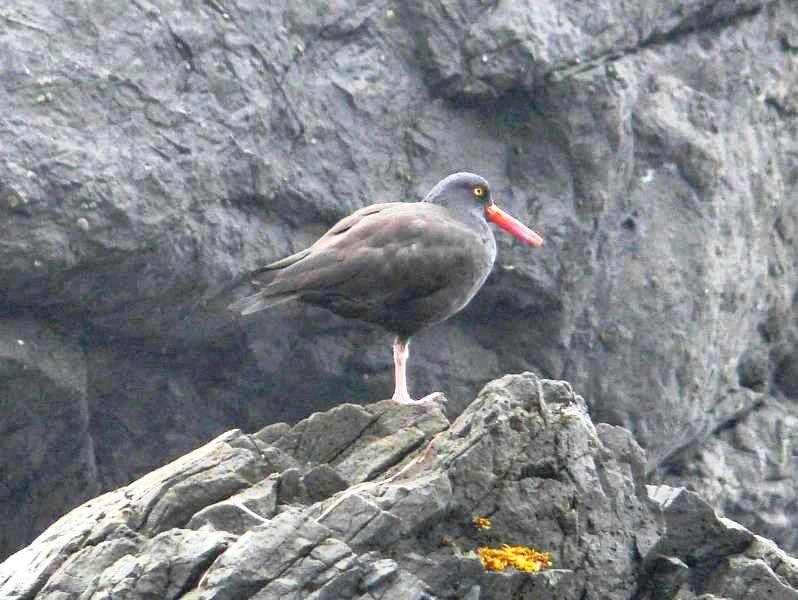 Black Oystercatchers would be very hard to see against the dark rocks if it weren’t for their bright red bills. 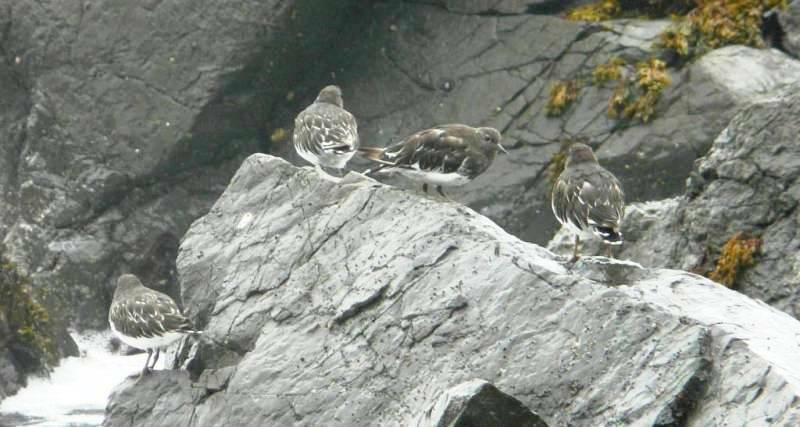 Black Turnstones nest in Alaska, but spend the winter along the west coast from Canada to Baja California. Their backs blend in with the rocks, but their underparts are bright white. Limpets are among these birds’ prey species. 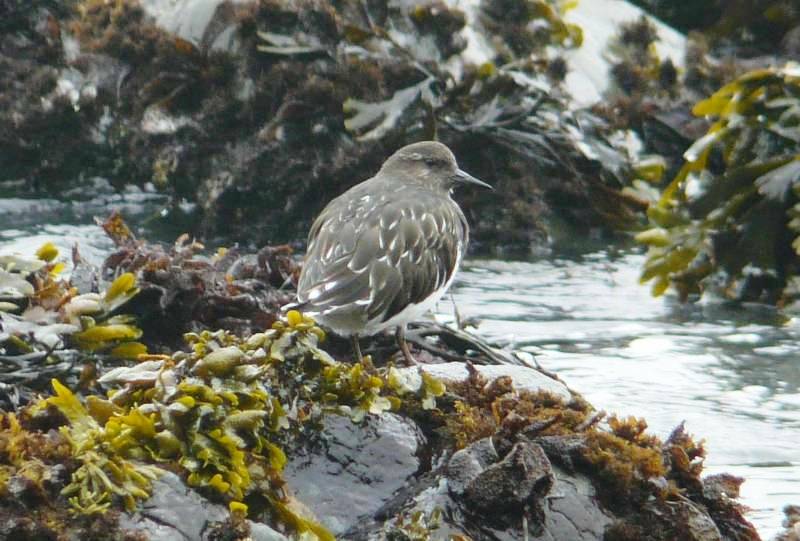 The shorebirds use their stout bills to pry the animals off the rocks to reveal the soft underparts. 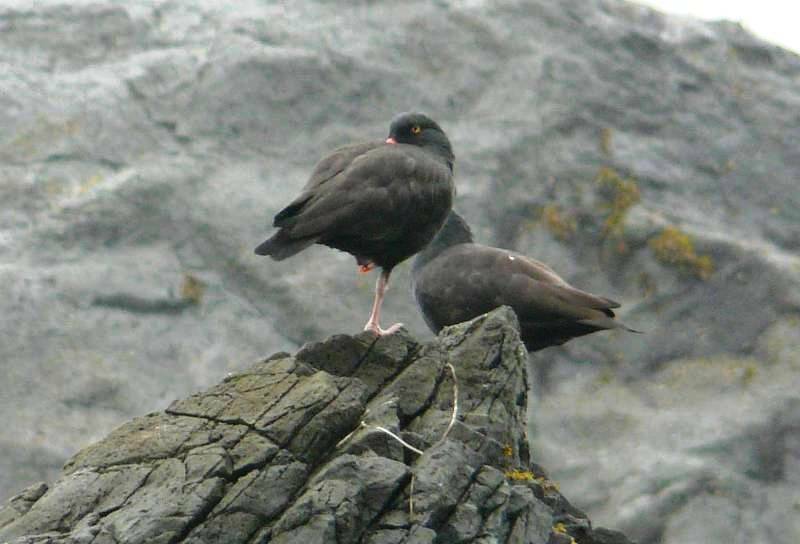 This entry was posted in species profile and tagged Black Oystercatcher, Black Turnstone. Bookmark the permalink. We’ve seen Black Turnstones on our last trip to Oregon. It was great seeing them – but now I even know, what they eat! Thanks for sharing.